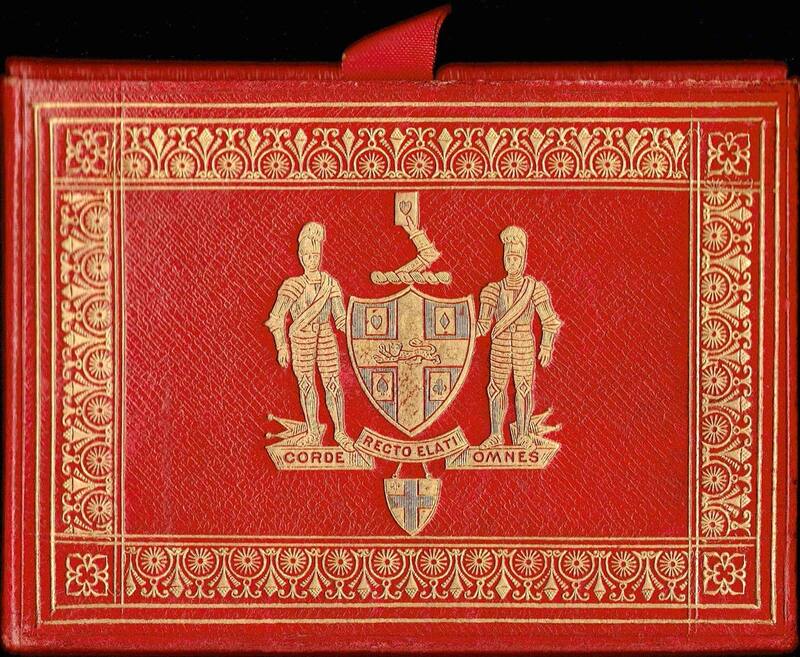 Above: Worshipful Company Pack manufactured by Chas Goodall & Son, 1893. From the collection of Rod Starling. Variations in the colour of earlier designs may be discovered due to reissues by different manufacturers at later dates. 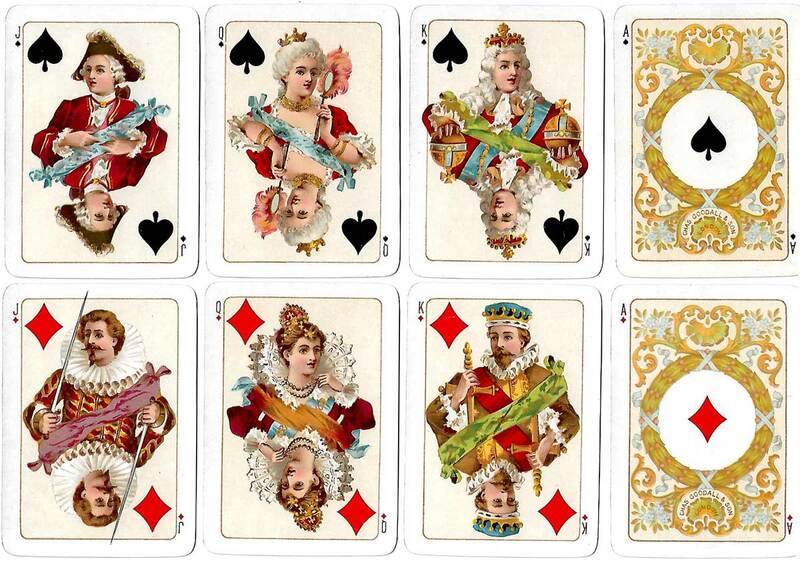 In 1888 the Master referred to the sale to the public generally by Goodall & Son of the packs of cards presented in past years at the Inauguration Banquets, and he stated the steps that would have to be taken to prevent this happening again in the future. 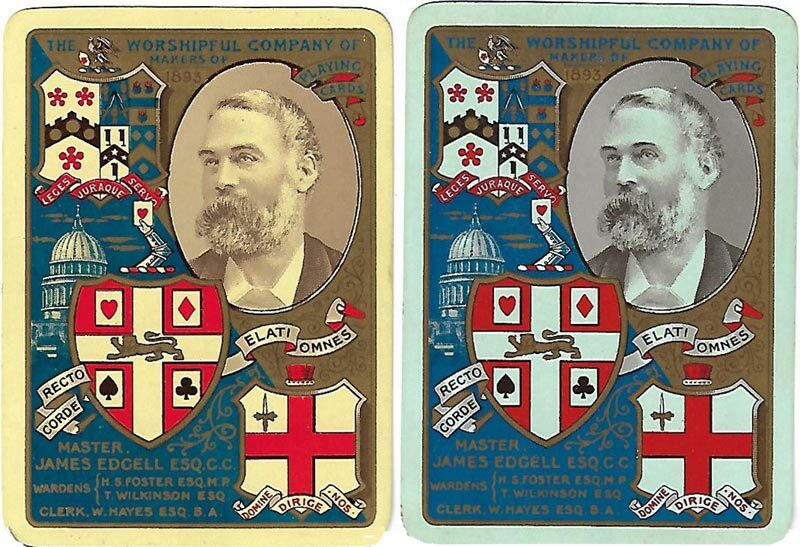 Two designs of cards were submitted by Goodall & Son for the Banquet but it was resolved to invite designs from other makers. 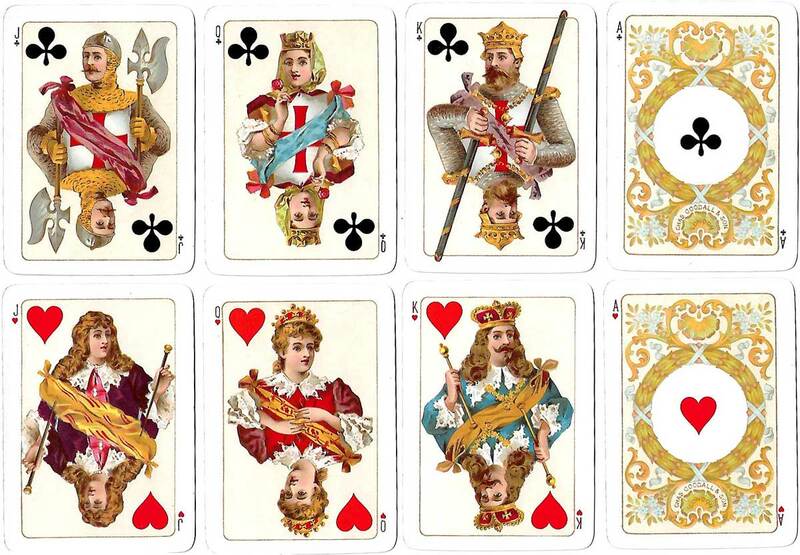 In October 1891 Goodall & Son requested to be allowed to supply the cards for the Dinner again and it was resolved that, provided they would undertake that none of the cards made for the Company were sold to the general public, and that no more were struck off than were taken to the Company, then they be allowed to supply once again. 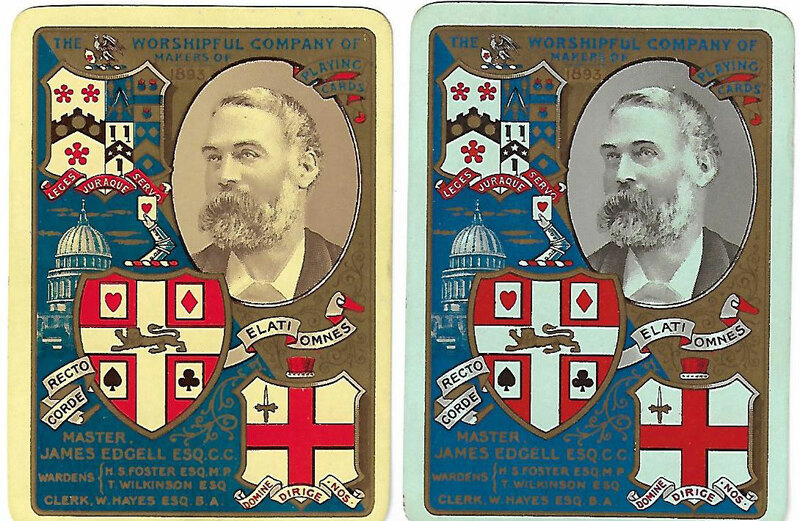 Thorpe, John G: The Playing Cards of the Worshipful Company of Makers of Playing Cards, InterCol London, 1991. Thorpe, John G: The Worshipful Company of Makers of Playing Cards of the City of London, WCMPC, London, 2001, page 38. Extra research by Rod Starling.